DOOD Productions is your one stop shop for artist and band consulting and management. 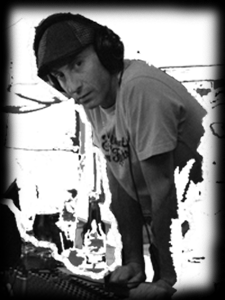 Founder, Adam Oppedisano, has been servicing the music industry for over 30 years. He is an artist as well as a music industry guru. Adam is a singer/songwriter, drummer and pianist that has experience with live performance and studio recording. DOOD Productions guides the professional career of an artist or band in the entertainment industry. Our firm will oversee the day-to-day business affairs and counsel talent concerning business matters, long-term plans and personal decisions which may impact their career. Our main job is to help with determining decisions related to career moves, bookings, promotion, business deals and recording contracts. It can be extensive and may include similar duties to that of a press agent, promoter, booking agent, business manager (who are usually certified public accountants), tour managers, and sometimes even a personal assistant. We assist our clients with finding music producers and developing relationships with record companies, publishers, agents, and the public. Dood Productions believes that your time in a recording studio is valuable and that preperation for a record is paramount. We offer studio clinics to artists that are planning to record in a professional studio. Our skilled musicians and engineers prepare you for your recording studio experience to assure a time and cost effective project. We record audio and video for you to review at your own leisure and for future reference. 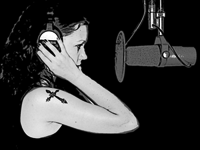 We offer recording packages for Indie Artists and Major Label Artists. Talent Scout - We will review promotional packages and live performances for a musician or band and determine the right path to lead the client down. Publicist - We will generate press coverage on behalf of clients and to serve as the bridge between clients, their public and media outlets. We write press releases and manage other public relations functions. Promoter - Our promoters bring crowds through an array of methods. The most direct are techniques such as plastering posters on outdoor walls and distributing handbills on windows of cars parked in entertainment districts. Photography - We will manage and schedule photo sessions for promotional material such as Flyers, CD Jewel Cases and Website Content. Recording - We will manage and schedule recording sessions, studio and live performances. Booking Agent - We will solicit and negotiate live performances for a musician or band. We have good connections to music venues, promoters, and talent buyers. Below is a guideline for musicians that are looking for a simple recipe to assure a successful music career as an independent artist. Keep in mind that not all artists/bands are created equal so use at your own discretion and with caution. It is paramount to have a plan, a road map, to avoid discouragement or disappointment. In the example to the left the graph shows that week 1 thru week 13 an artist/band should be writing about seven(7) new songs per week and only have about one(1) gig scheduled per week. It also shows that from the one year mark to the two year mark an artist/band should be writing four(4) new songs per week and have about four(4) gigs scheduled per week. By the third year an artist/band should not settle for anything less than writing two(2) new songs and playing six(6) gigs per week.